While Microsoft’s own mobile platform may be struggling to survive, the company continues to develop apps to satisfy their “mobile first” mantra. 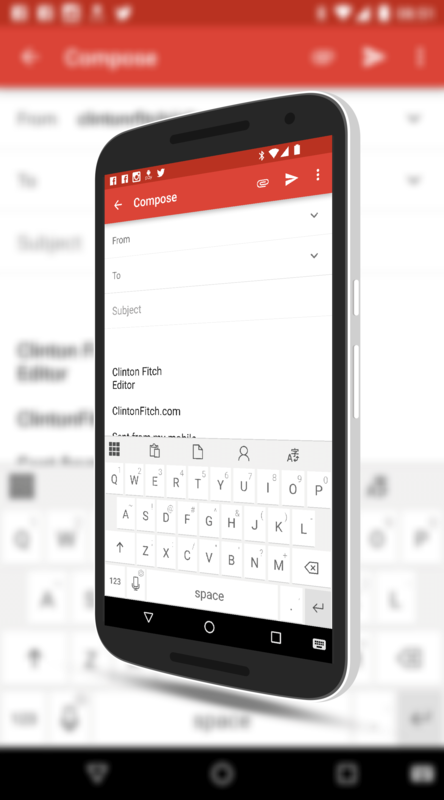 The latest app from the company, Hub Keyboard, is designed for Android with the purpose of making your life easier when it comes to moving content around on your device. With a built in clipboard and the ability to quickly send information to Office 365 apps, the keyboard is aptly names as a hub for all of your Microsoft app needs on Android. quickly and easily to another Microsoft app or service on your device. While Microsoft has designed Hub Keyboard to work with the Office apps for Android, it works with any app on your phone that utilizes a keyboard. You can use it for example in Gmail and find contacts quicker than having to switch back and forth between contacts and Gmail itself. Interestingly, the new keyboard does not support Swiftkey, the recent acquisition the company made to speed up typing. Given this is the first release of this keyboard it likely will come later but it is a bit disappointing that it isn’t there initially. That said, in testing of the keyboard, it performs well and if you use the Microsoft apps on your device, getting content from one app to another with this keyboard is a breeze. Hub Keyboard is free and available now in the Google Play Store.